Aw, poor Spots! He's such a handsome fella! We hope he finds his furever home in 2012!! OMC, poor Spots! We're purring that he finds a wonderful FOREVER home very soon! Wishing you a happy, healthy 2012. Awww - man - M is sitting here wishing she could adopt that poor boy. The third time just HAS to be a charm. I think 2012 is going to be Spots' luck year! 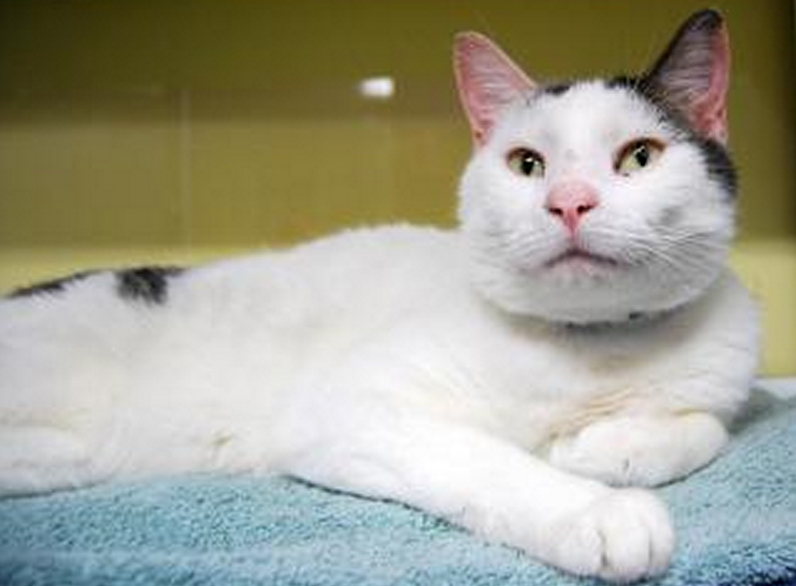 Oh dear, Spots is so deserving of a new home! I think 2012 will be the year Spots finds a FUREVER home, none of this wishy washy stuff neither. Our Sylvester had the same thing happen to him! We purr that 2012 is THE year for Spots. Aw, I hope 2012 is Spots's year! He is SUCH a handsome boy!! Happy New Year, sweet Furiends! This poor guy has gotten a LOAD of bad breaks! I hope he finds a home soon - I will try to post about him on my Facebook page later today. Oh Sparkle - THANK you!!! It's just criminal the way some kitties are treated, this poor sweet little one deserves a forever home. Purring super-loud for him!! Oh wow, poor little guy! And he is such a sweetheart too. We will be purring that he finds a fantastic forever home very soon with people that love, appreciate and spoil him silly! Wishing you all a 2012 filled with many blessings. Happy New Year! 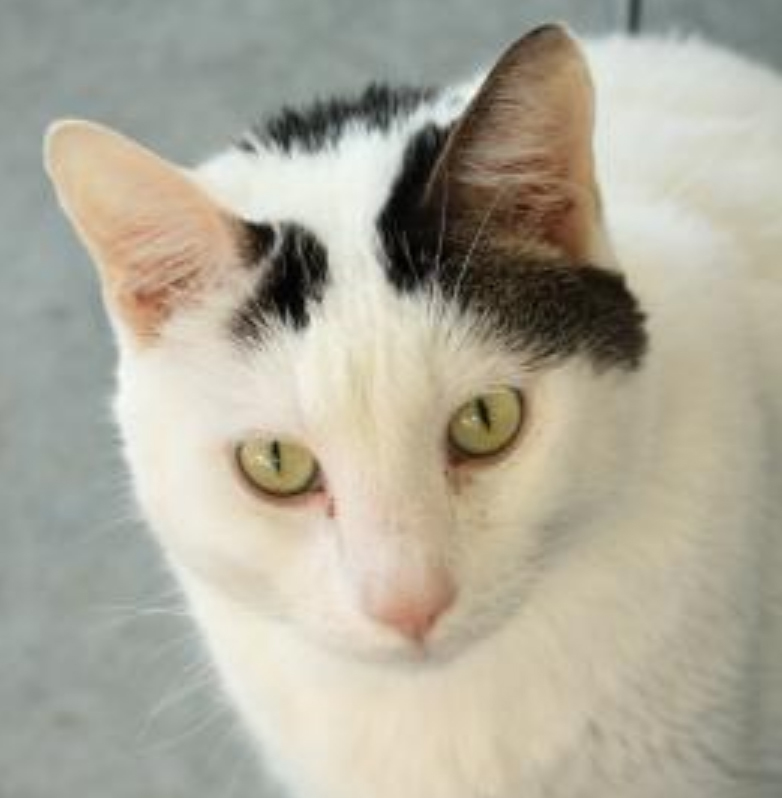 Spots deserves a loving forever home. What a sweet guy. Every Sun. on my CFYC FB page I feature a Sunday Cat of the Week. I already featured a cat today, however I will follow up and feature Spots next Sunday.I hope however that he'll already have a forever home. Paws crossed for you Spots! We hear from our Mom just how adorable you are! And, that you like snacks! Good luck! Spots got adopted last night!!! And it was a very thoguhtful family that came back again & again to play with him & really get to know him. Paws crossed that *this* third time is THE Charm for you Spots! Aww! So glad that Spots found a loving forever home. I was going to feature him on my Sunday Cat of the Week post and it made my day that I don't have to!